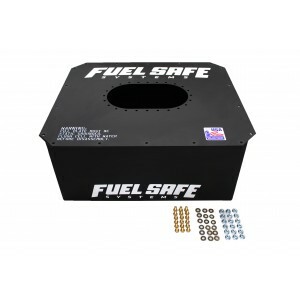 Replacement Steel Can for Fuel Safe Standard Racing Fuel Cells. Replacement Steel can for Fuel Safe standard racing fuel cells. Powder coated 20 gauge steel container with 1" external mounting flange. NOTE: Whenever breaking the seal of any gasket on the fuel cell, it is recommended that the gasket be replaced.